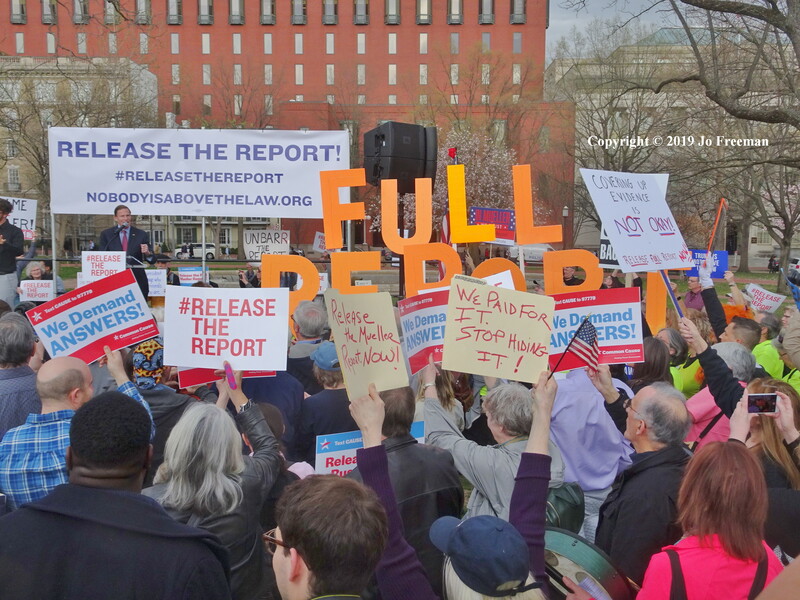 Progressive groups brought thousands of people to hundreds of places around the country to demand the release of the Mueller report. 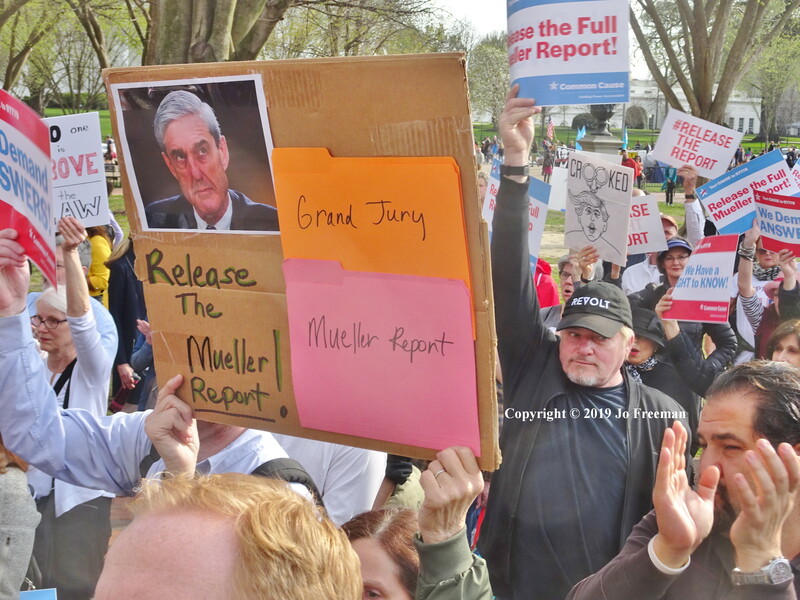 Although the call to demonstrate came with more notice than the one to Protect Mueller last fall, the turnout was lower. 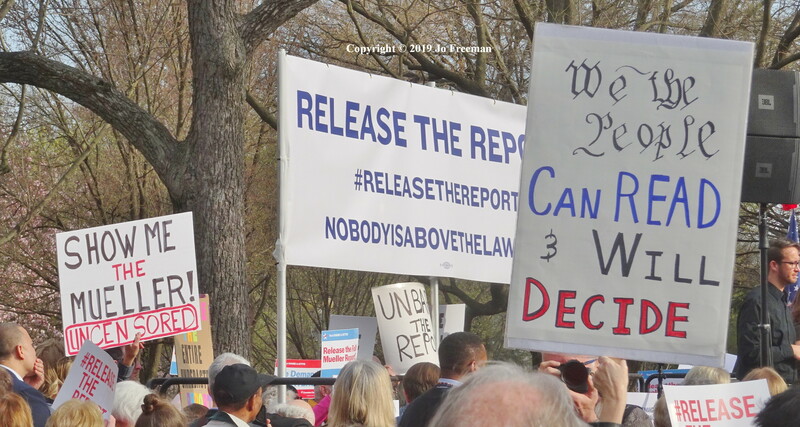 About 500 hundred people came to Lafayette Park, across from the White House, to demand the release of the full Mueller report. 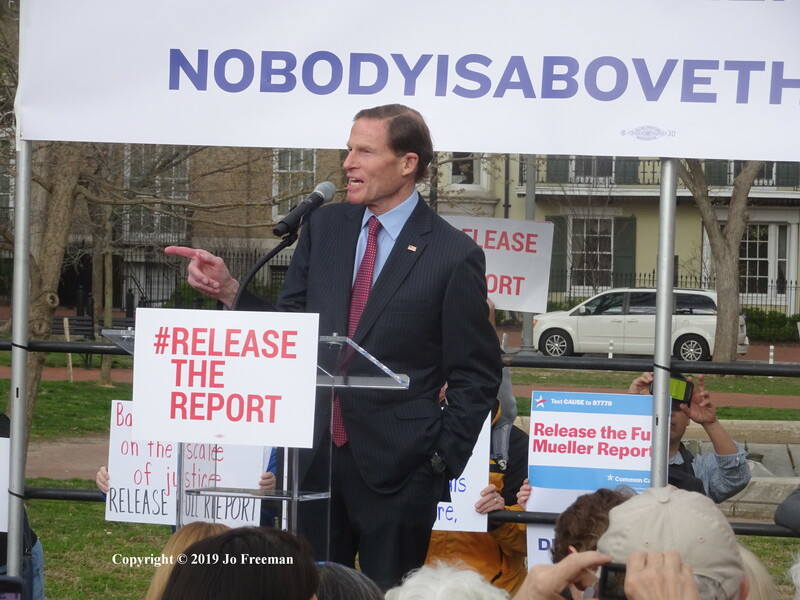 Connecticut Senator Richard Blumenthal was the first speaker. He sits on the Senate Judiciary Committee. 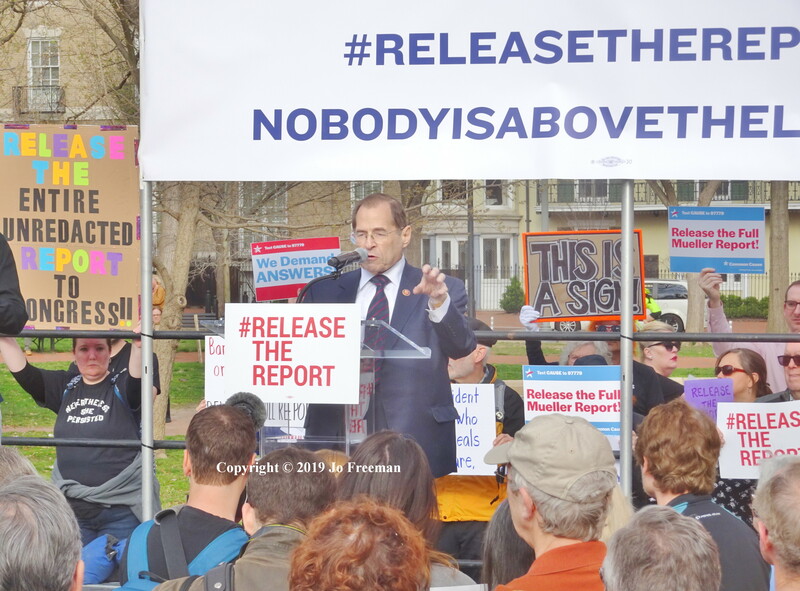 New York Congressman Jerry Nadler was the main speaker. 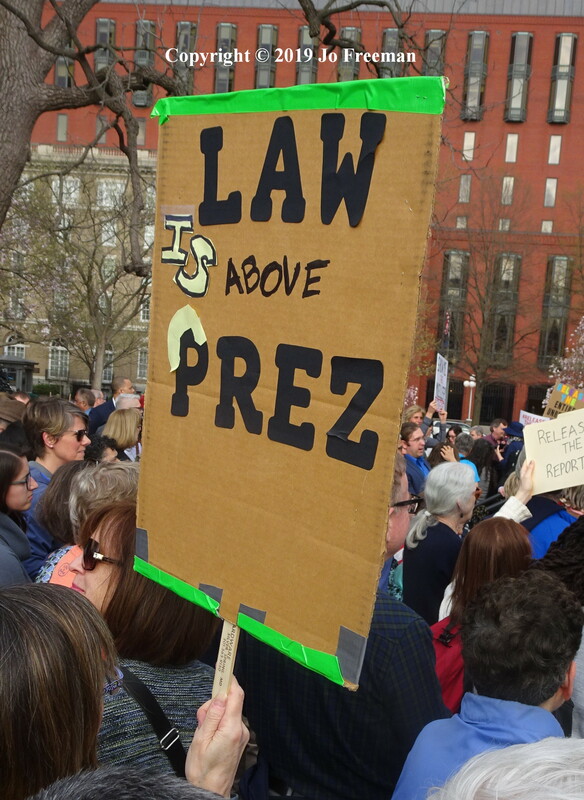 Now that the Democrats control the House, he is the Chair of the House Judiciary Committee. 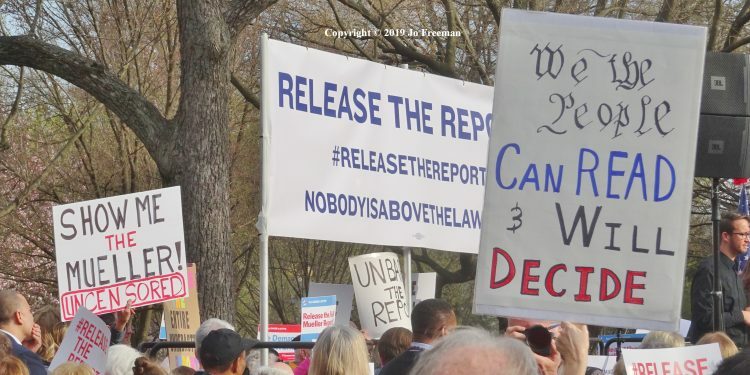 The day before the rally, his Committee approved subpoenas for the entire report. 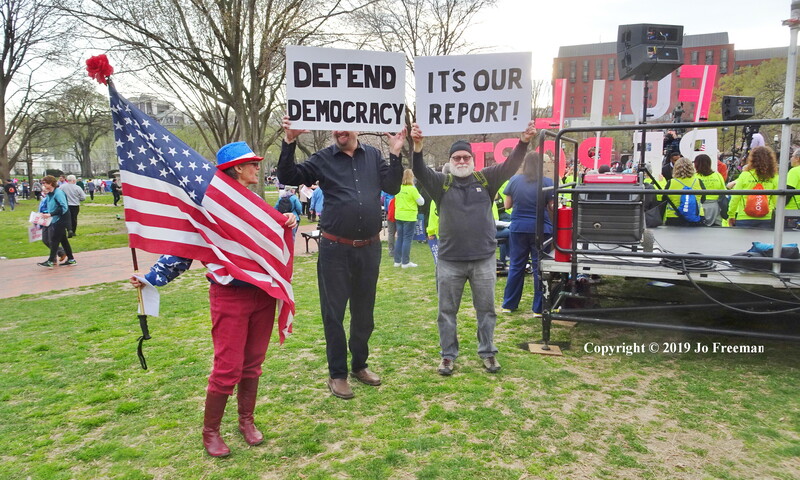 The other speakers represented many of the sponsoring groups, such as MoveOn, Public Citizen, Indivisible, Common Cause, People for the American Way and others. 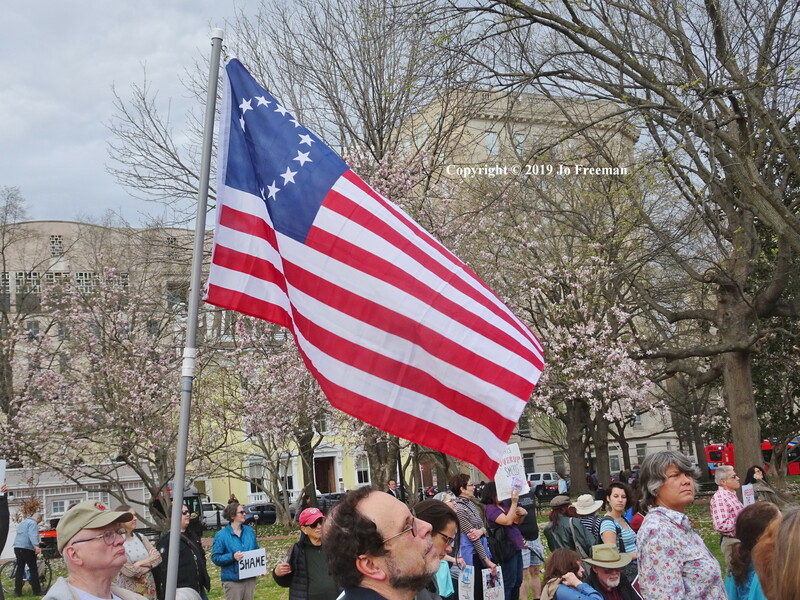 Some American flags had 50 stars. 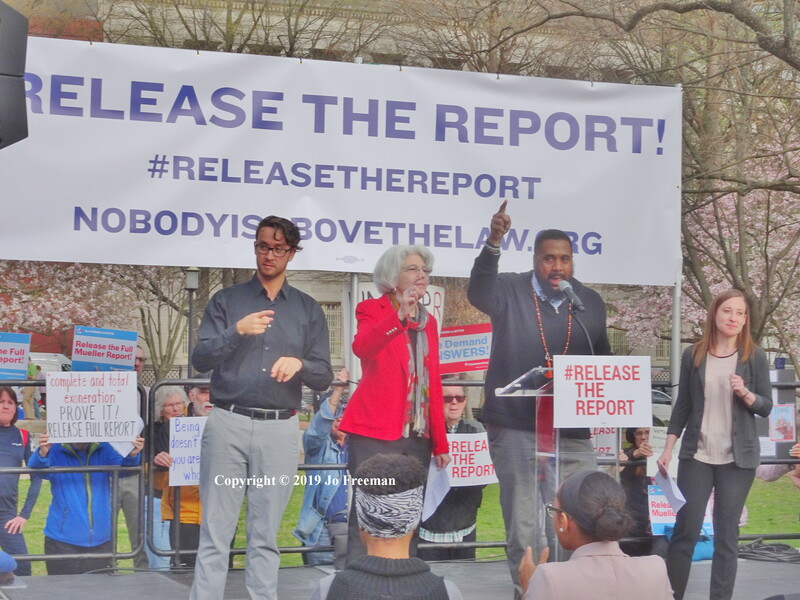 The DC Labor Chorus closed the rally. 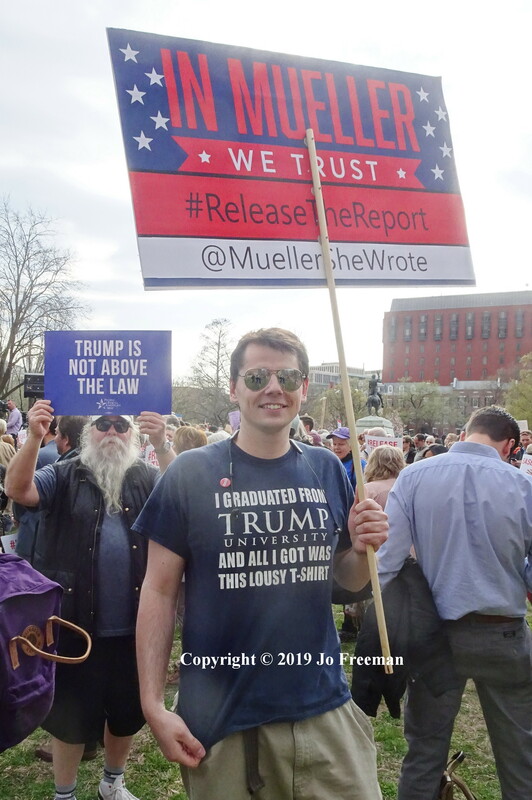 The 22-month investigation into Russian interference in the 2016 election by former FBI Director Robert Mueller has received so much publicity that he could run for President. His name recognition is greater than that of most of the Democratic candidates. However, he’s a registered Republican. Jo Freeman has published eleven books and hundreds of articles. She is currently finishing a history and memoir of working for SCLC in 1965-66.